The Jefferson sets the standard for attractive design with its wheat-style lattice work and cathedral pergola. 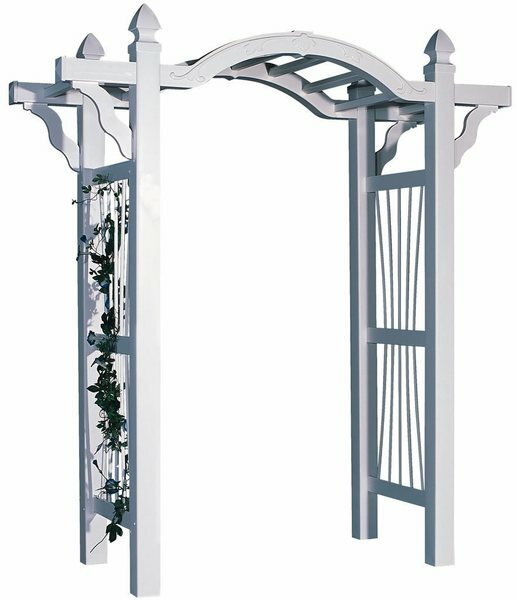 You can’t go wrong with the Jefferson Vinyl Arbor which requires no painted ever like wood arbors. All you will need to do is spay it off sometimes with a hose. Call to get an order started today for one of our quality crafted vinyl arbors.